Know when someone enters your property... with high performance HD outdoor camera with night vision. Secure real time video viewing and event triggered recorded video clips. Must have Pulse Level III monitoring service to get have an Outdoor Camera work with your ADT monitored security system. Price includes installation. Standalone Design. This is a standalone system with built-in CPU and video encoder. You just need a power source. Dual Video Support. Supports H.264 and MJEPG video compression. Day/Night Switching: With the day/night switching feature, you can view and record images even at night. It adjusts automatically by itself. IR LED Support. The infrared LED can provide illumination for up to 6 meters, providing superior video quality under low-light conditions such as on cloudy days, or in the early morning or evening. Just call it the built in flash. PIR (Passive Infrared Sensor) Support. The embedded PIR Sensor senses infrared light radiating from human bodies in its field of view. So basically, it uses infrared light to sense motion. Built-in Heater. The built-in heater ensures that the camera will continue to operate even in extremely cold outdoor climates. The heater turns on when the temperature falls below 42°F (6°C). It's Waterproof. IP66 Water Resistance Rating. 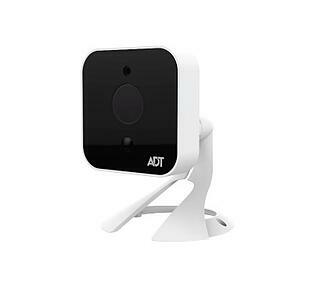 Detects Motion - It can detect motion and start recording based on that motion. This can be used to trigger text/email alerts to you and automations with the rest of your ADT Pulse Home Automation system. "The system I needed for a great price." 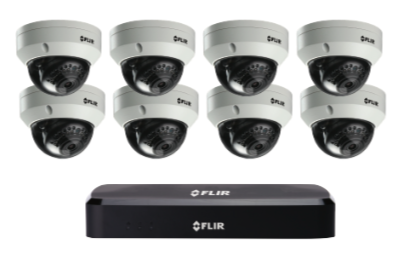 "I needed a security system with cameras that I could control from my iPhone. I also wanted a deadbolt that could be controlled remotely. Kyle Madison was able to get me the system I needed for a great price. The install was quick (less than a full day), I can see who comes and goes, capture video and still shots, get text messages of any activity, and feel secure knowing my home is being monitored whether I'm home or away." See Why Security Cameras Are So Popular... Are They Right for You? If you need 24/7 recording, you may consider getting a professional installed security camera system. We have four and eight camera system packages and custom solutions if you need a larger system.